This weekend, Dev and I sauntered on over to Claudinia's Restaurant. It is, after all, right down the street from our apartment. 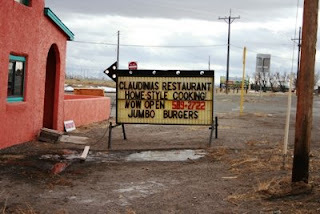 Claudinia's is located on Highway 285, right down from the Family Dollar store. The restaurant has only been open about a week, so bear in mind that there may be a few kinks to work out. They really need to clean up around the outside of the restaurant. The location is good- right off Highway 285...but right now it looks like a dump. There is trash all over the place, and the parking lot is almost completely taken up by a used RV. I would imagine some people will be put off by the way it looks. The inside is nice and clean, and doesn't reek of grease anymore. Dev and I had been in one other time before (when it was one of the other seventy restaurants that have been there since we moved here) and the whole place reeked of old grease. So, kudos for eliminating that. I was impressed. 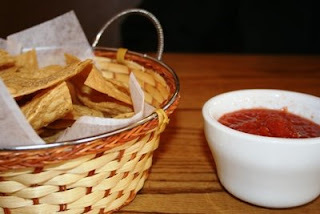 The salsa had a really fresh flavor, and the chips....how to say it...they were still sizzling. They actually fry their own chips. A health hazard I know, but oh my gosh they were delicious. I would go back just for the chips and salsa. 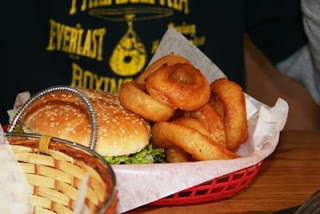 The burger really wasn't anything to write home about. It was VERY WELL DONE...which really isn't my thing...but when you're eating ground beef in an unfamiliar environment, I guess it's better to err on the side of caution. The seasoned fries were really good, though. They know what they are doing in the frying department. 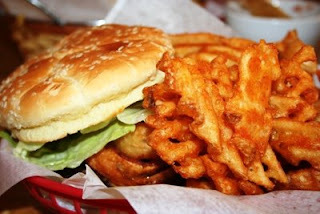 They were piping hot, crispy and seasoned just right. 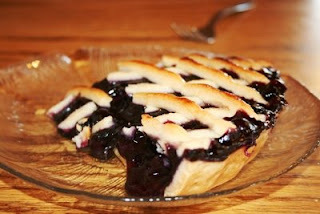 The pie probably was home made. I couldn't tell from the texture of the crust for sure, but it didn't taste prepackaged. The filling might not have been homemade, though. If it was, it needed a little pinch of salt or perhaps some lemon zest...it was a bit sweet and cloying. Overall, it was a pretty good lunch. Next time we go, I will try the Mexican selections on the menu. And I will also ask what is available but not on the menu. Some people came in while we were there and asked for chili rellenos (which aren't on the menu) and they got them.